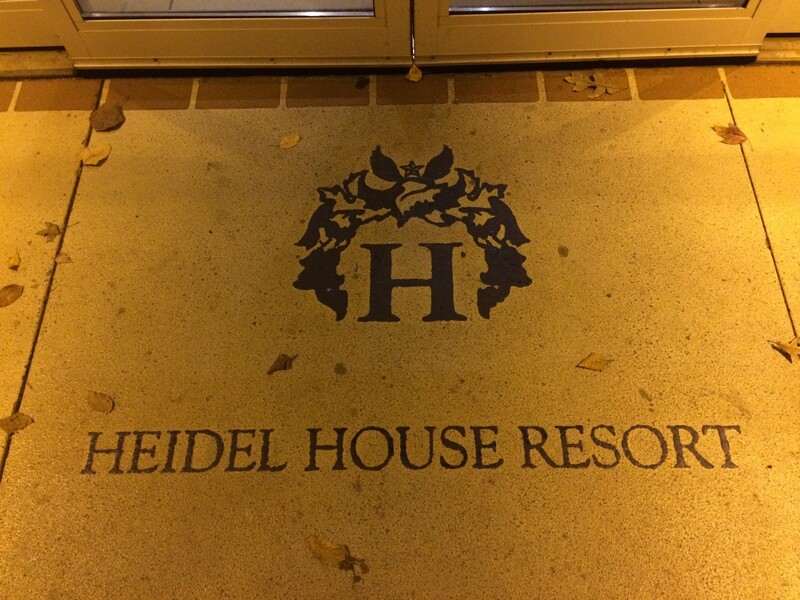 The Heidel House is one of those venues you hear about all the time. I feel like once a month I come across a bride and groom getting married there or find out about another big event being hosted in Green Lake Wisconsin. Finally F&F got to check it out, and this time, for a corporate event. We were brought in by the American Public Works Association (Wisconsin Chapter) to entertain about 150 people on this particular evening. We loved this room from the start, and with a nice stage to perform from, it was easy to get people singing and dancing from the start! 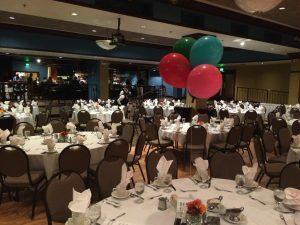 Felix and Fingers is a traveling dueling pianos show and we love finding great venues like this one in Green Lake. The Heidel House is easily a regional staple for weddings and events and it was easy to see why. 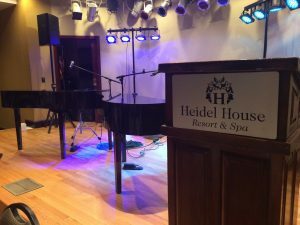 If you’re hosting an event there, as you should, think about an all request dueling pianos show. 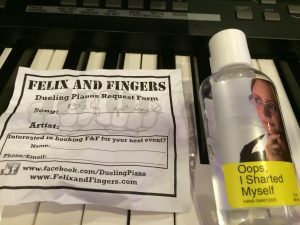 What other show can be so interactive that you eventually find hand sanitizer on the pianos?!?! Have I ever mentioned that I love this job 🙂 Can’t wait to be back! For more info, you can contact us here or fill out the form below.